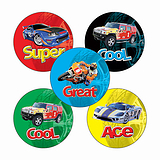 This assorted sheet of stickers is great for children who love cars & motorbikes! 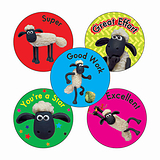 Mixed with different phrases & variety of colours these will be loved by your children! See more products with this image here.